Why the lady in your life will love Fiji. isn’t just about boys playing rugby. Far from it. Fiji and the resorts of Denarau have plenty to keep rugby partners in state of tropical bliss. And it all starts with the virtually unlimited pampering options to found in the first-class spas! Heavenly Spa at The Westin Denarau Island Resort is a lush sanctuary with a long menu of luxurious treatments. Full body massages with a choice of coconut, frangipani, white ginger or pineapple oil. Facials of every description. Scrubs, wraps and body detox treatments. Pedicures. Manicures. Waxing. Brow shaping. The list is endless! Heavenly Spa has an amazing outdoor setting with 10 open-air therapy rooms and two suites which are designed as traditional Fijian bures. Think natural wood, thatches and river stones. State-of-the-art, modern spa facilities also include a high-tech steam room, jacuzzi, Vichy shower, custom-made hydrotherapy tub and jet showers. 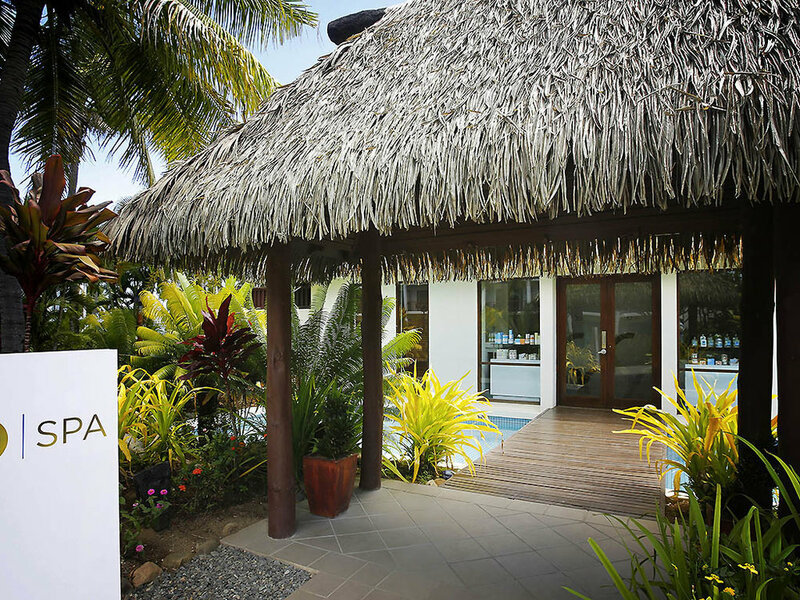 Over at the Sofitel Fiji Resort you’ll find the So Spa that blends a French influence with a touch of Fiji. (The Sofitel brand originated in Paris). Each treatment bure includes a well appointed air-conditioned massage pavilion, open-air outdoor shower, imported massage tables and beautiful Fijian artwork. The deluxe spa bures also include a private whirlpool spa bath. And on the menu? Sugar glow facials. Deep relaxation massage. Traditional Fijian Bobo massage. Coconut Lime Blossom Body Skin Renewal. Foot massages. Pedicures, manicures and much more. All in all, Fiji is a superb destination for anyone wanting a relaxed tropical getaway – rugby players and most definitely partners included.